Often referred to as a potentially unwanted app or a browser hijacker, websearchinc.net is used for none other than making profit. Although it may be promoted as a useful search services, its main purpose is to generate web traffic. The hijacker is compatible with all major browsers, so once it gets access to your system, it alters settings in all browsers that are installed on your PC. This, however, is only one of the many annoying actions that the hijacker takes in order to expose you to as much advertising data as possible. If you do not wish to deal with unnecessary ads, you will have to get rid of websearchinc.net. The browser hijacker uses the bundling distribution method, which means that it enters computer systems together with other freeware. Make sure that you pay attention to the installation wizard of the software that you choose, because skipping through it usually results in adding unwanted applications to your PC. Once inside, the hijacker replaces your home page, new tab, and default search engine with websearchinc.net. It is impossible to change these settings manually without the hijacker switching them back right after. In addition to the modified preferences, which force you to use the new search provider, you also get exposed to various adverts while on other pages. Needless to say, constantly dealing with various pop-ups, banners, links, video ads, coupons, and other types of advertisements will disrupt and slow down your browsing. More than that, it will also lower your online safety as the adverts you see are not monitored by anyone. You may be presented with false data on a daily basis without even realizing it. As long as you avoid clicking on the ads, you should be able to stay away from online scams, but there are no guarantees that one day you will not click on a fake ad by accident. That could result in malware infections or other unwelcome consequences. Therefore, you should waste no time and eliminate websearchinc.net along with its ads from your browsers without delay. Two options to go with when it comes to websearchinc.net removal are manual and automatic. To erase websearchinc.net manually, you will have to uninstall the program that arrived with it and then fix your browser settings. Instructions below can help you with this process. The more reliable solution, however, would be to use a malware prevention and removal tool. The anti-malware from this site can help you ensure your system’s safety. 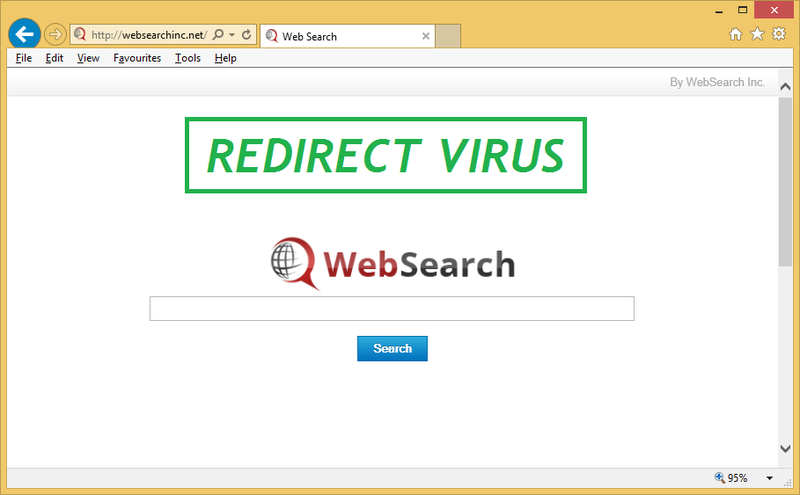 If you implement it, it will scan your PC, detect all unreliable elements, and delete websearchinc.net with them. After you terminate websearchinc.net, the security software will also help you keep your computer clean by protecting it from other online infections that you may encounter moving forward.